Our new record "In the Name of Freedom" is in the can. We are in the process of shopping the record to a label and have a couple of leads that are solid. We hope to get this closed out soon. If we do not get a label deal, we will be releasing the record on our own later this summer or fall. 2019. We promise it's worth the wait. The songs are well written. The music is well executed and the engineering on this record is superb. 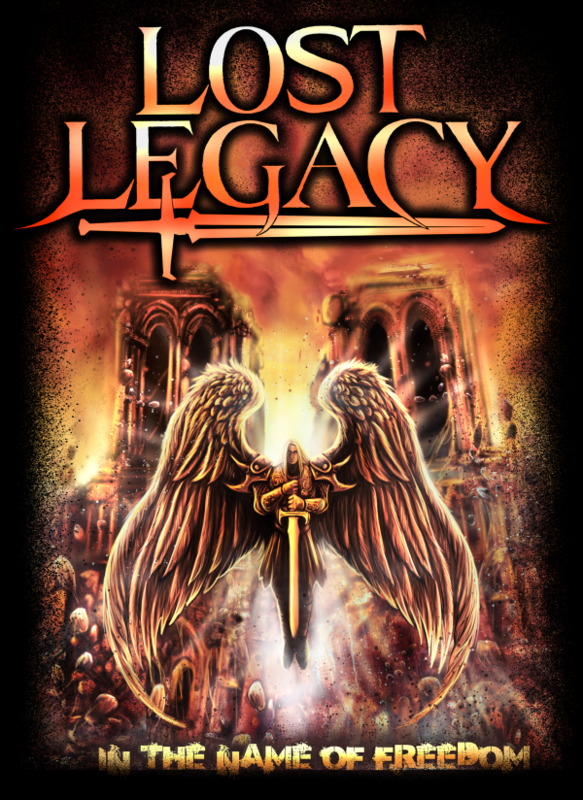 CD Cover "In the name of Freedom"
Lost Legacy in the studio recording their new album "In the name of Freedom"
Lost Legacy is in the studio recording the follow up to their first cd "The Aftermath" the new album titled "In the name of Freedom" is currently in production and should be released late summer 2018. The album features heartfelt lyrics and powerful music that promises to deliver their very best effort. Loaded with great vocal and a twin lead guitar attack this album will have a big sound with great production. The album is being recorded mixed and mastered at Coney Productions in Eastchester NY, by Tommy Tulotta. Stay tuned for more news as the band getsready to release the first single and the entire cd.